Home » Blog » drifting » Just over 3 weeks and counting! Just over 3 weeks and counting! It’s little over three weeks till the official start of trading begins for Dyna Tune Ltd, we have been working tirelessly to ensure that Dyna Tune HQ is up to standard. We’ve had some red tape causing a delay on the building of our office space and dyno cell but that is a small issue as the equipment that has been bought has been chosen to allow us complete flexibility. 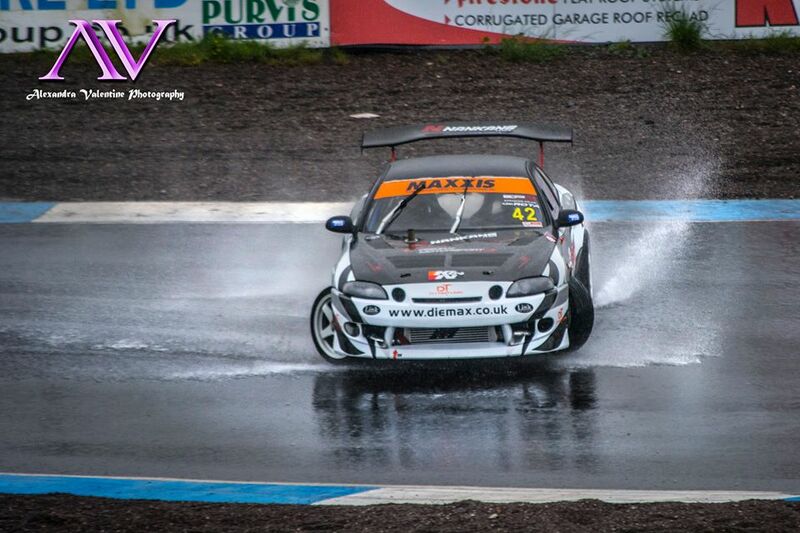 We’ve not just been sitting around idle till our opening, things have been all go with Steven Donnelly and the Diemax Motorsport Drift Team gaining a surprise new mid-season sponsorship from Electronz Ltd, after his performance at a very wet Knockhill. 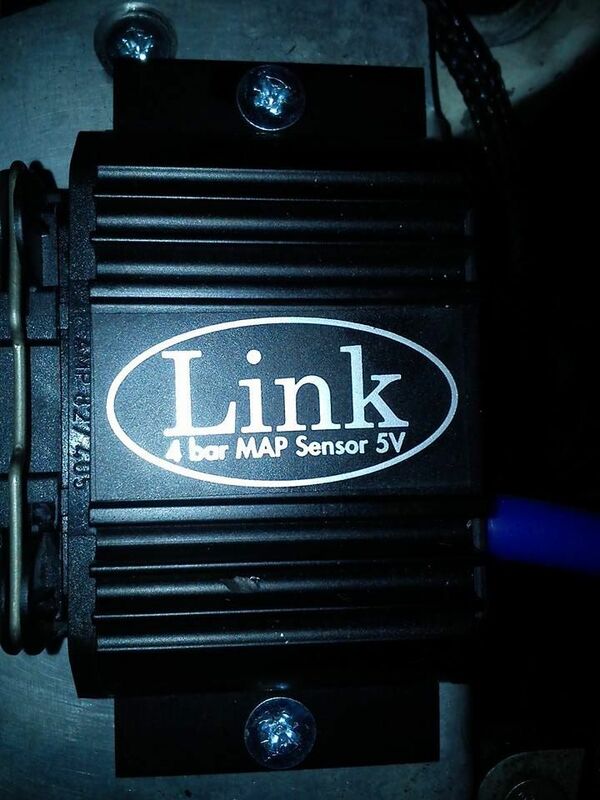 Steven was already running a Link G4 Extreme, which is made by Electronz Ltd, so business development manager Alan Booth agreed the deal and supplied a Link G4+ Extreme with 4 bar pressure sensor and Link Engine Management dash. The pressure was on to get it all in and working for the next event. As the ECU would require testing to ensure that the tune hadn’t changed in conversion from the old G4 to the G4+ a decision was made to leave this due to time constraints so work was concentrated on the dash and power steering, which had become a problem in the last round of the British Drift Championship(BDC). With the Monster Energy King of Europe just a week away a conversion was drawn up to allow the team to use a Nissan 350Z power steering pump, this was then made in the C&C machine shop that is Diemax Precision Engineering while I was wiring in the dash. The Link Engine Management dash is a re-branded Race Technology Dash 2 Pro, a very impressive piece of kit in it’s own right and now as a plug and play option for the Link/Vi-PEC range of engine managements there’s no excuse not to have a digital dash fitted. After battling against the best Europe has to offer Steven was sent home by none other than Adam Kerenyi, current King of Europe table leader and two times previous champion, in a top 16 battle that earned Steven the respect of the Hugarian. Back to the workshop, with only a week until the cars next outing the ECU and pressure sensor were fitted, tested and then it was off down south to the teams annual pilgrimage to the Norfolk Arena for their charity night. The car was tested through the day before the real fun began at night which is when the charity event really kicks off, with a mini championship top 16 to keep the BDC drivers and crowds entertained while the staff sold raffle tickets and passenger rides in either normal drift cars or real competition BDC cars, during the break for the battles the public could use their passenger ride tickets to get onto the track to see what the event looked like from inside of the cars. Even the local radio got in on the action giving the event 25 minutes of air time :listen here: with over £2,000 raised from the event the local guide dogs can now train, unsubsidised, a guide dog for someone who’s visually impaired or completely blind. Now it’s back to the serious rigours of competition, with the next round of the BDC landing in Teeside Autodrome, the car will be checked over, oils changed and any repairs done to ensure the team has the best chance of scoring as many points as possible and hopefully Steven’s first podium!